Synopsis: MAUDIE, based on a true story, is an unlikely romance set in 1930s Nova Scotia in which reclusive fish peddler hires a fragile yet determined woman named Maudie to be his housekeeper. Aspiring artist Maudie spends her life battling rheumatoid arthritis, but when discovered, her colourful paintings established her colourful paintings as one of Canada’s most iconic artists. Director Aisling Walsh [Joyriders (1988), Song for a Raggy Boy (2003)] brings us this unusual and moving love story, with a sensitive script from Sherry White and breath-taking cinematography from Guy Godfree. The talented Sally Hawkins [Happy-Go-Lucky (2008), Made in Dagenham (2010), Blue Jasmine (2013)] gives a career-defining performance sure to attract awards as the bright-eyed Maudie, stricken with crippled hands, who yearns to be independent and to live away from her family to create art. She persuades the reclusive Everett Lewis, played by Ethan Hawke [The Magnificent Seven (2016), Boyhood (2014), Before Midnight (2013)] to hire her as his housekeeper; but unexpectedly, Everett finds himself falling in love with her. 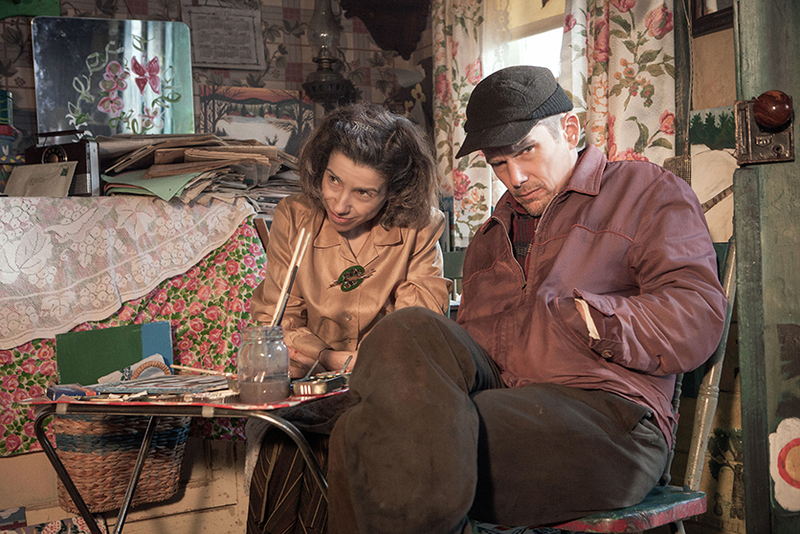 Thereafter the film charts Everett’s efforts to protect himself from being hurt, and Maudie’s deep and abiding love for this difficult man, at the same time as her surprising rise to fame as a folk painter. Ethan Hawke gives a superbly nuanced performance as a difficult, emotionally repressed and sometimes violent man who comes to deeply love and admire his creative wife, as she paints on every available surface in their tiny home – walls, doors, breadboxes, and even the stove. The house is now located in the Art Gallery of Nova Scotia in Halifax, Canada. 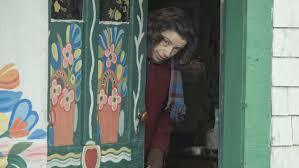 A beautiful film with an engrossing narrative and characters to care about, Maudie is a fitting tribute to Maud Lewis (7 March, 1903 – 30 July, 1970) who overcame adversity to become a remarkable artist.